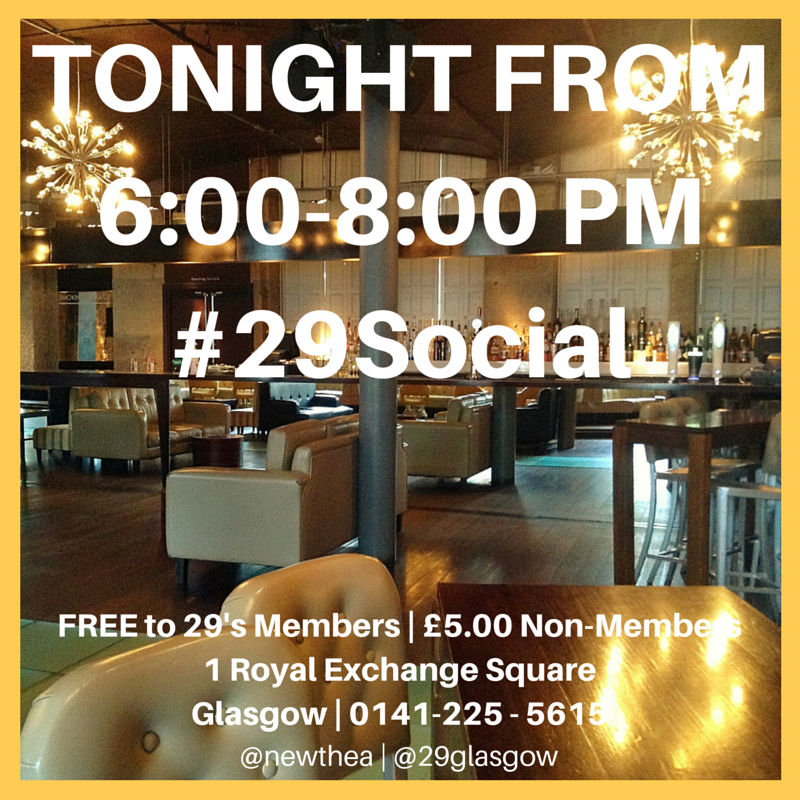 Please Join Us #29Social – Tonight From 6! Really looking forward to tonight’s event about Blogging. I love blogging. Wish I had more time to keep blogging but like most small business owners there are not enough hours in the day. In any event I look forward to spending some time chatting to my panel – Emma – Allison and Andrew – who are foodie, wedding and beauty bloggers respectively! The event’s open to anyone who fancies a night of informal networking. You don’t necessarily need to be a blogger or be interested in setting one up any time soon. It will still be a good chance to come and meet some new and fabulous folks! See more details about the event and my panelists – in my last #29Social update. Next blog post I’ll talk more about next week’s event at the new Village Hotel in Glasgow – it’s called Southsiders in Business and almost all our tickets are gone for that popular event.